Even though there are hundreds of types of fish for sale, most chefs know only a few varieties. That's where Barton Seaver--Esquire magazine's 2009 Chef of the Year--comes in. By combining all manner of fish with loads of fresh produce, he fosters sustainability both in the sea and on the farm. 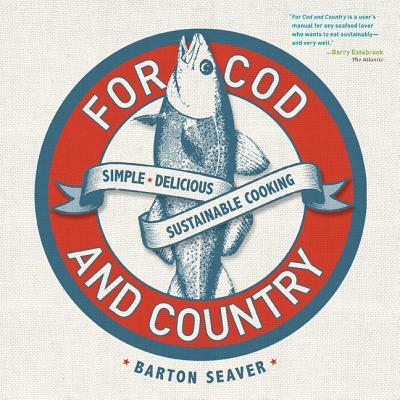 Organized by season, For Cod and Country features only fish caught in those months (plus “a fifth season” for farmed fish), along with ideas for preparation, seasonings, and lists of alternate fish to substitute in inventive new dishes. Barton Seaver has created three highly rated restaurants in Washington, DC. Seaver has been lauded as a leader in sustainability by Seafood Choices Alliance, was named a Fellow with the Blue Ocean Institute, and works with the Ocean Now program at the National Geographic Society to influence large corporations and consumers toward a more responsible and sustainable sourcing ethic. He is currently working on a television series entitled "Turning the Tide" for National Geographic. Learn more about him at bartonseaver.org and forcodandcountry.org.